Promote your business through the Chamber's multiple publications, websites, and social media channels/tools. 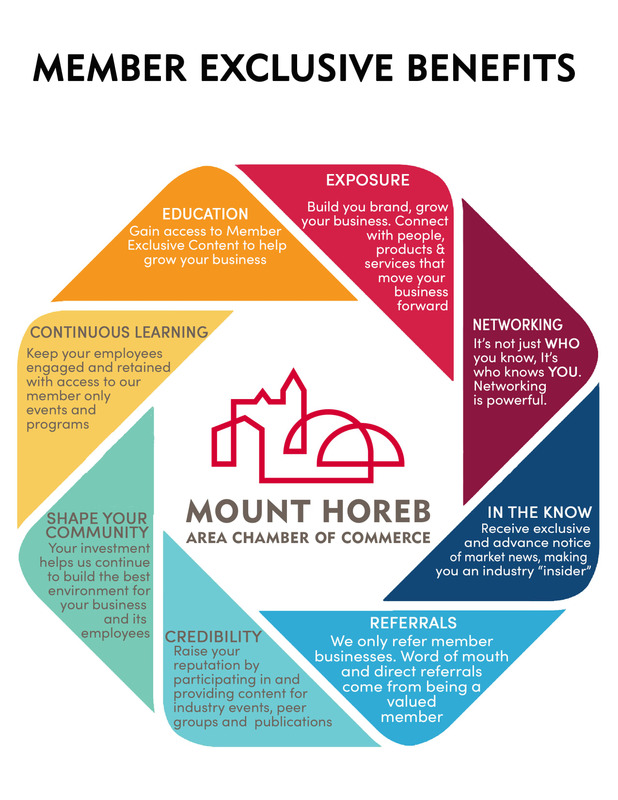 Mount Horeb Area Guide raise community awareness of your business through inclusion in the Mount Horeb Area Guide. Member Spotlight Watch Facebook and e-mails for the Mount Horeb business featured every week. Our networking events are a great place to form business relationships, create business opportunities & seek potential partners for ventures. Network Socials chamber members cite the opportunity to interact and partner with fellow business people at Chamber events among the most valuable benefits of membership. Education the chamber offers numerous seminars, roundtables and educational activities geared specifically to the business community and the continuing education of you and your employees. Member to Member Discounts special discounts at your fellow chamber members' businesses. E-Newsletter A weekly membership update is provided on Mondays to help keep you informed about what is important to your business. Legislative Initiatives monitor and notifies you of important local and state issues that affect businesses and the quality of life for Mount Horeb area citizens. Referrals through phone or online inquiries we will always refer chamber businesses first.